Weighing in at a super light 25 grams, EzyDog's Adventure Safety Light can be seen from a distance up to five kilometres. 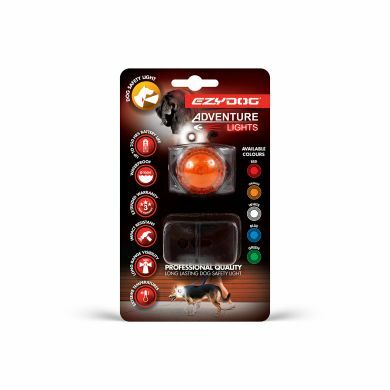 The light is waterproof to 100 meters and can handle 100 kilo load - meaning that it can withstand the dog running through the woods or swimming in the lake or ocean. You can attach the Adventure Safety Light to your dog's collar, harness or leash in two ways. 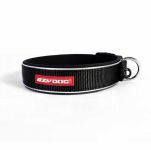 You can use the provided Velcro strap to wrap it around the collar, harness or leash wherever you like. Or use the snap-on clip. Easy! A must for all dog owners who want reliable safety for their dog! EzyDog are so confident of the Adventure Safety Light's strength and quality that they come with a 3 year extended warranty! 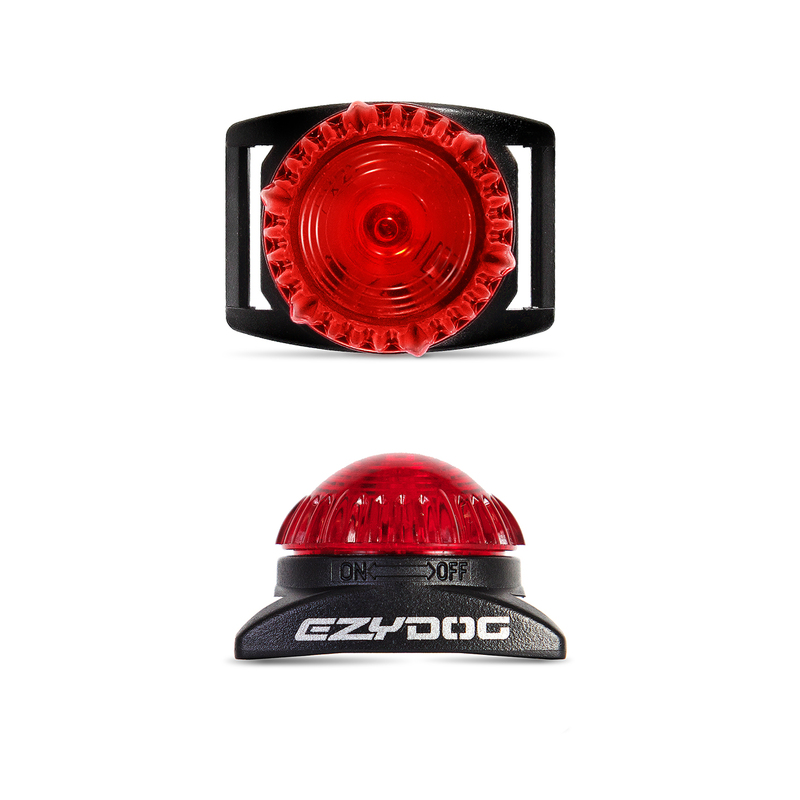 If you've got a small dog have a look at the smaller version, the EzyDog Micro Light. 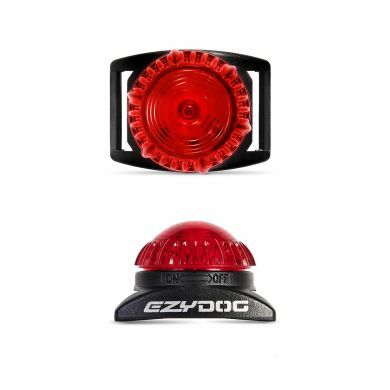 I have found the EzyDog Adventure safety Light fantastic. 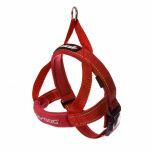 Its easy to attach to the harness or lead. Super bright. One of our dogs is black. he was so hard to see on a night walk, when off lead. Not anymore. You can see the blue light flashing easily as he runs about. 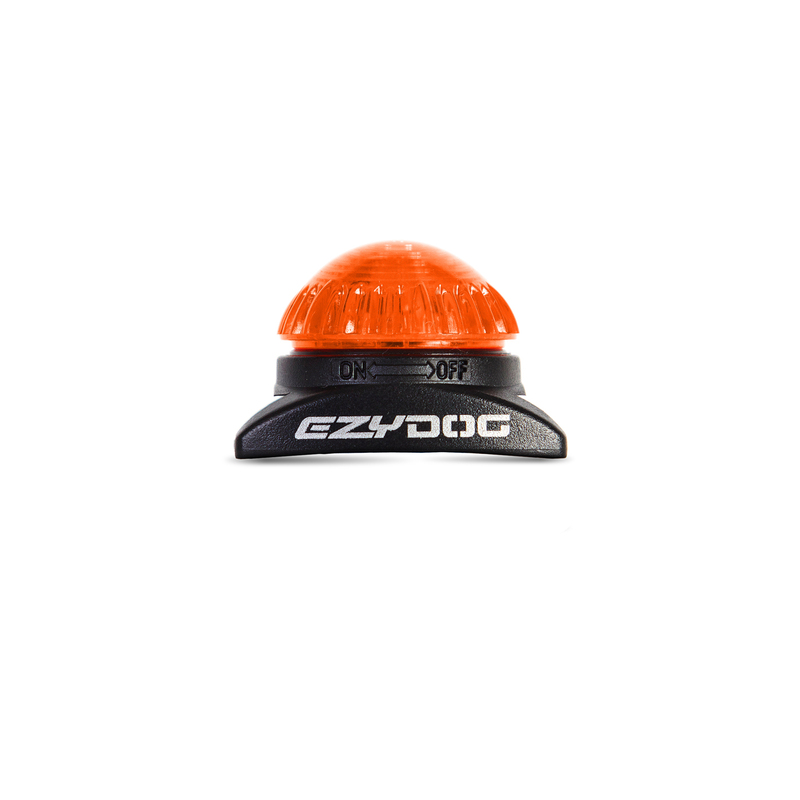 Read 13 customer reviews of EzyDog Adventure Safety Light. The average customer rating is 5. This is a wonderful light. Used a few others which bounce around and cut out, this one is bright, stays steady and the flash isn't too quick. Great to see my dogs through the bush! There are few street lights in our area and limited footpaths so we like to be visible when walking at night. 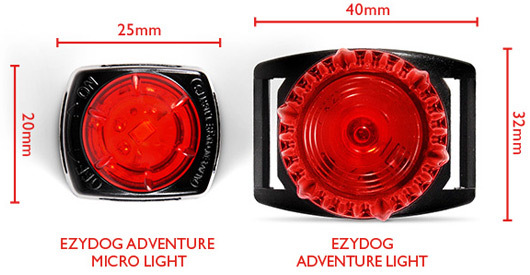 We bought cheap LED flasher lights initially for our two dogs but they were rubbish (annoying rapid flashing and poorly made - one of them dies after three uses!). 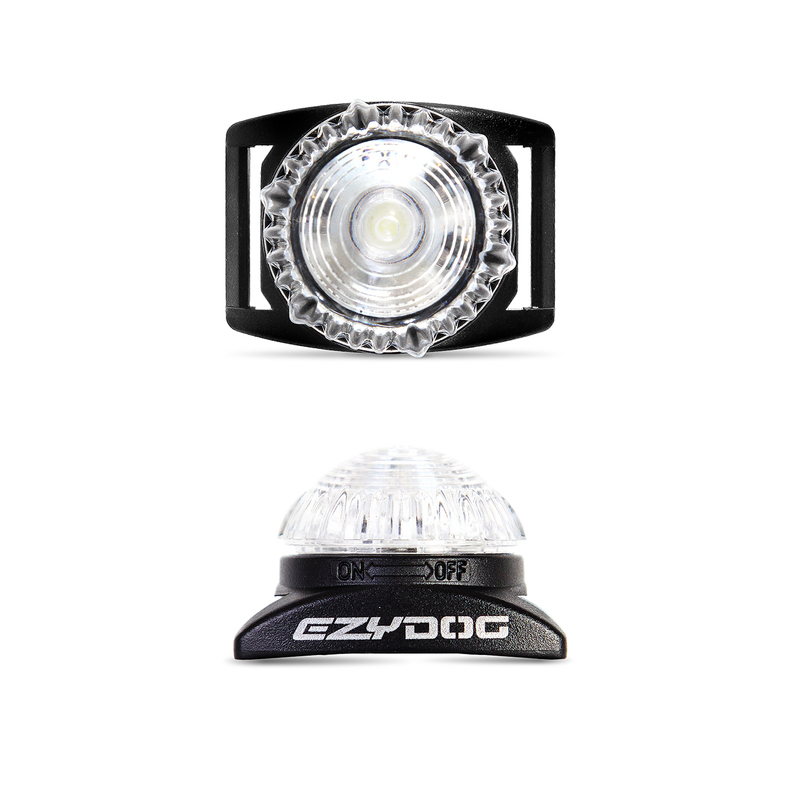 I was reluctant to spend this much on collar lights initially but glad we did in the end. 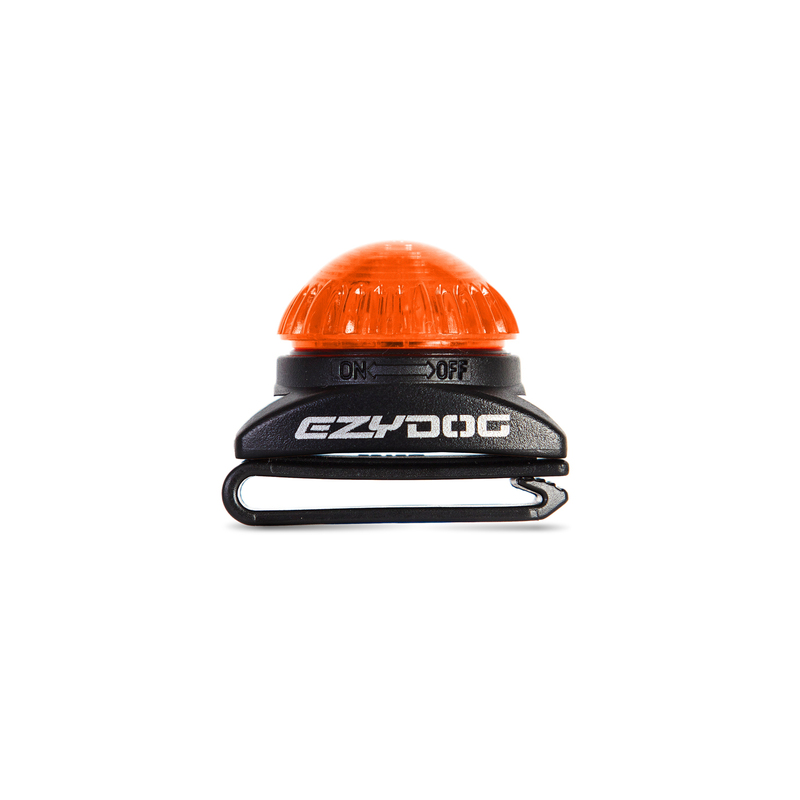 These lights are far brighter, are very robust and well-built and are easy to clip on and off your dog's collar. The flashing is also at a slow, steady rate (or they can just be turned on with no flashing) which is far less annoying for us and the dogs. Don't waste money on cheap lights. 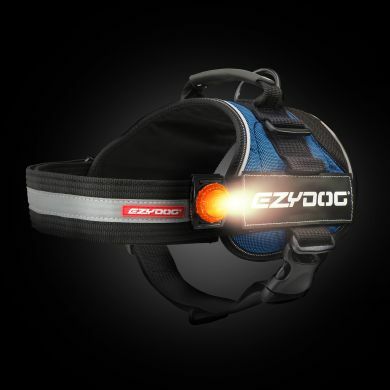 These will keep your dogs visible and last you a lot longer. Love the lights. 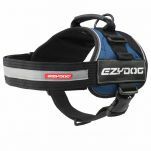 They fit on the harness very securely and are bright enough to make the dogs visible but not too bright that they bother the dogs. Hope that I dont have to test the water proof to 100m. Everything I needed! 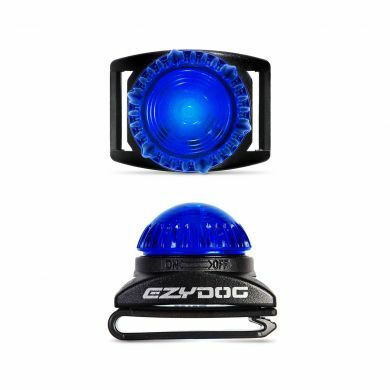 These lights are fantastic. I walk my dogs through the bush and with winter setting in quickly walks were becoming restricted to on lead only. 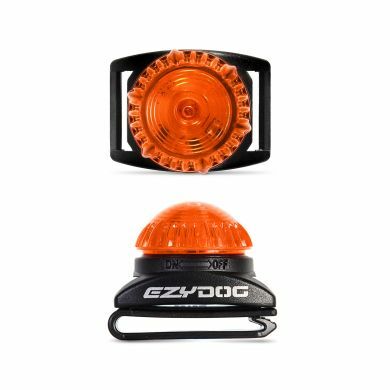 Thanks to these great lights I can see where all three of my dogs are (each with their own colour) in any light condition so evening walks are back to being fun exploration. FUNNY WATCHING THE BLUE AND YELLOW LIGHTS DARTING ABOUT. purchase the green, but none were available. We have tried every lighted collar and dog light on eBay and from pet shops. 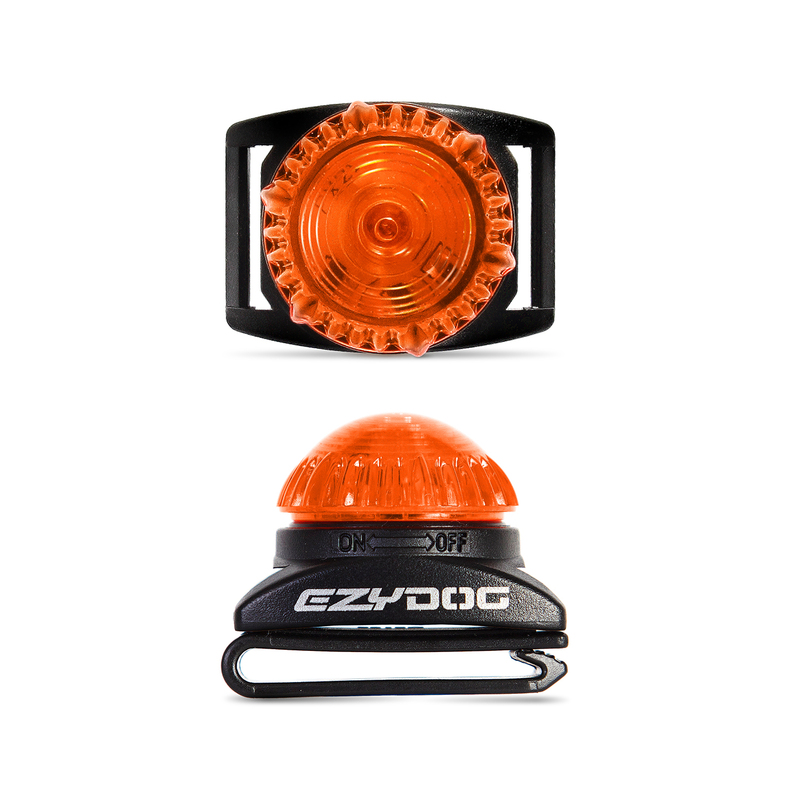 We have tried adapting bike lights and head torches. 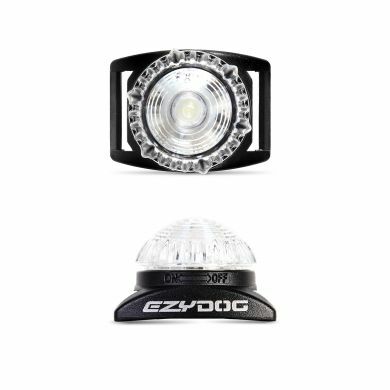 And goodness knows we've bought our fair share of both cheap and expensive options of almost every dog light on the market. Don't bother - just buy these. They're a bargain at twice the price. Even when our kelpies rush off into undergrowth or dense bush on winter morning and evening runs, we can see these lights clearly. 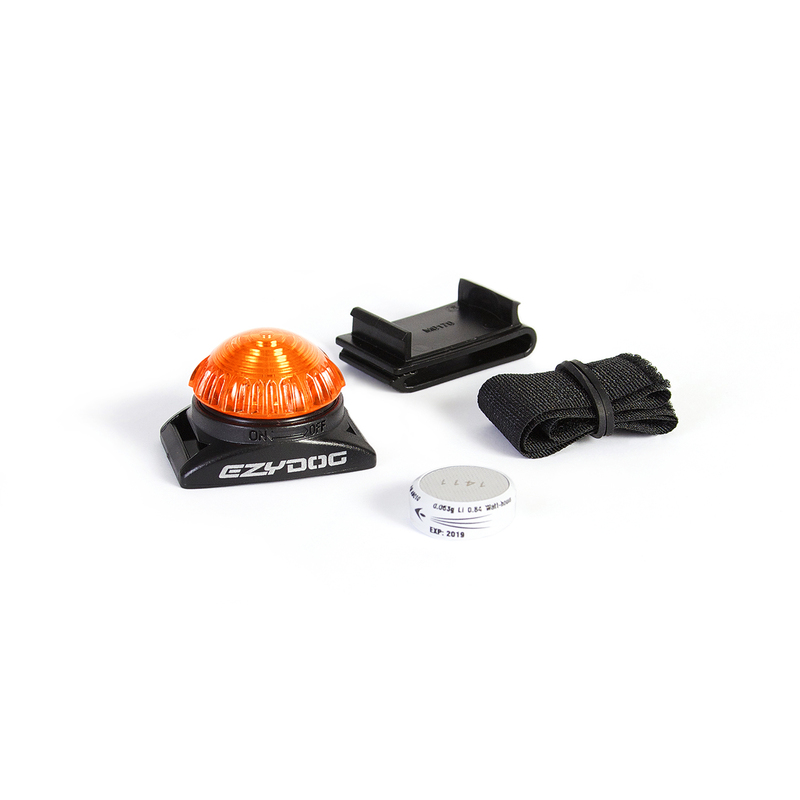 And the terrific slide-on, slide-off collar clip means they're not dangling and bouncing around; they stay stable and flush on the collar. 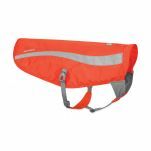 We use them on Ruffwear Headwater collars, so the whole rig is also waterproof if they take off into the river. Absolutely fantastic - thanks so much for stocking these!